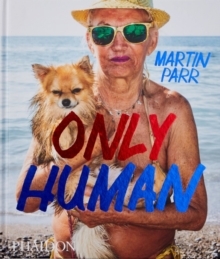 Published to accompany the exhibition 'Only human - Martin Parr' held at National Portrait Gallery, London, 7th March-27th May 2019. A major new book on Martin Parr explores the photographer's most enduring subject - people - as never before By turns witty, surprising, and ingenious, Martin Parr's photographs reveal the eccentricities of modern life with affection and insight. This book - published to coincide both with Parr's 2019 exhibition at London's National Portrait Gallery and also the date the UK will leave the EU - examines what it means to be human at a time of both change and retrospection. Bringing together new work from the last decade, Only Human explores the concepts of Britishness and national identity through the rituals and habits of everyday life.